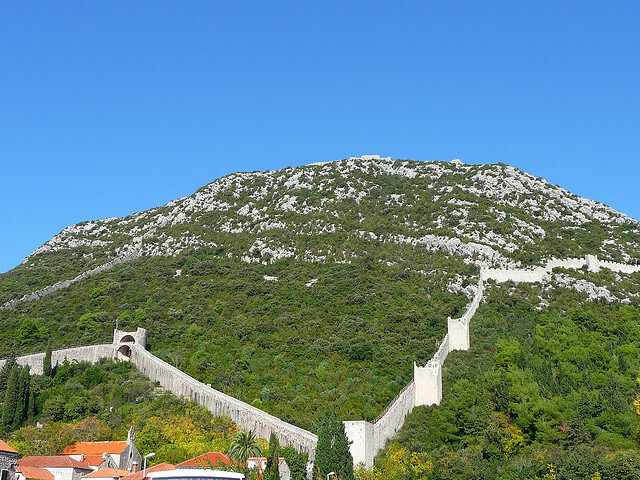 Ask any one to name a great wall and the chances are that the word China will appear somewhere in their answer. 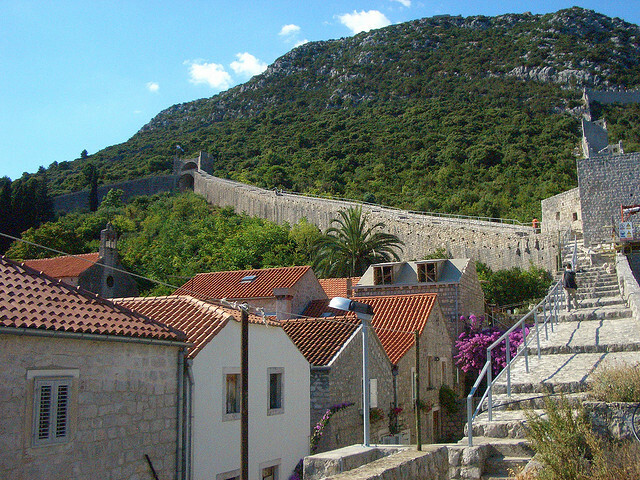 However, a small under visited town in Croatia has a well kept secret – a wall hundreds of years old which is the longest complete fortress system around a town in Europe –and the second in the world. 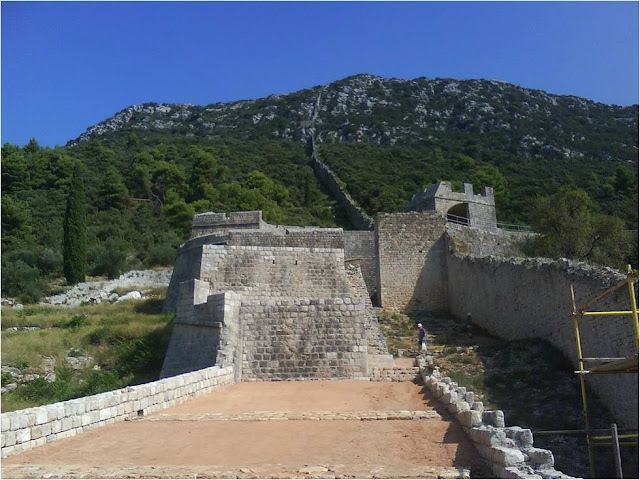 Yet very few seem to have heard of the Walls of Ston. 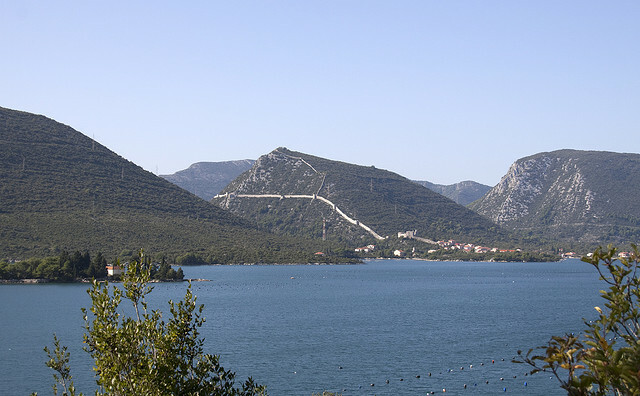 Ston is one of the most under visited places in Europe considering its historic legacy. 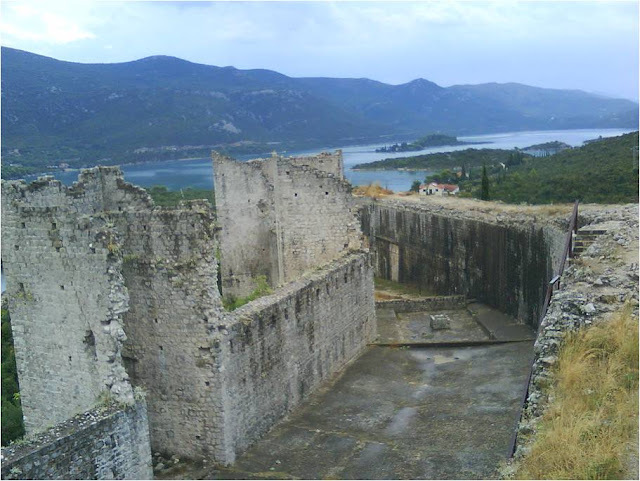 It is a little isolated, on the Peljesac Peninsula which is situated 60 km away from the nearest large city, Dubrovnik which itself has a population of under fifty thousand. 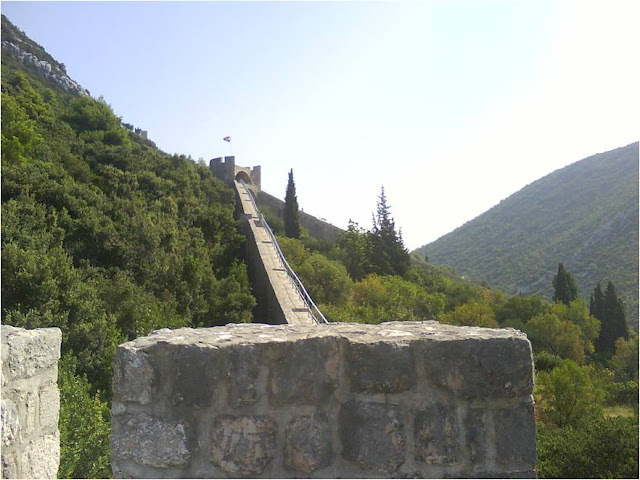 Yet Ston and its neighboring village of Mali Ston have a secret which is visible to all. 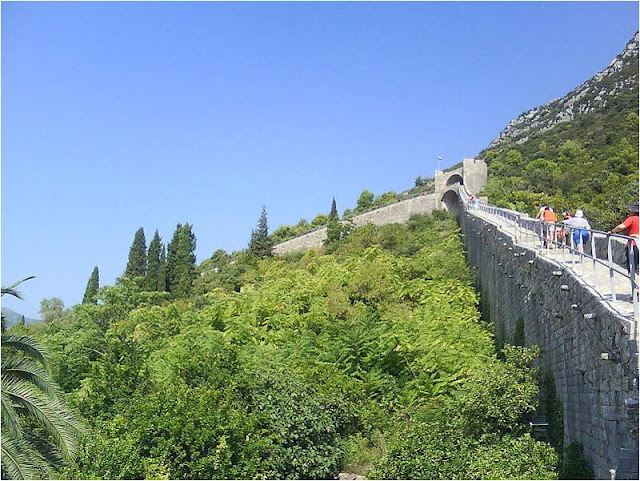 Connecting the two is a simply amazing wall, more than five kilometers in length. 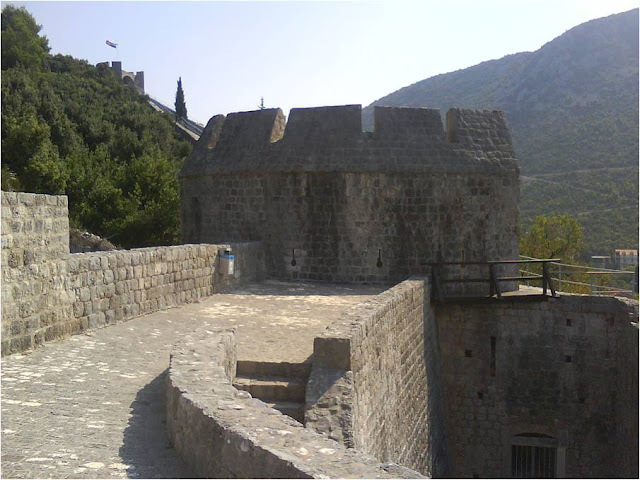 The walls circle the village of Ston and then climb up the hill to reach the Pozvizd Fortress. 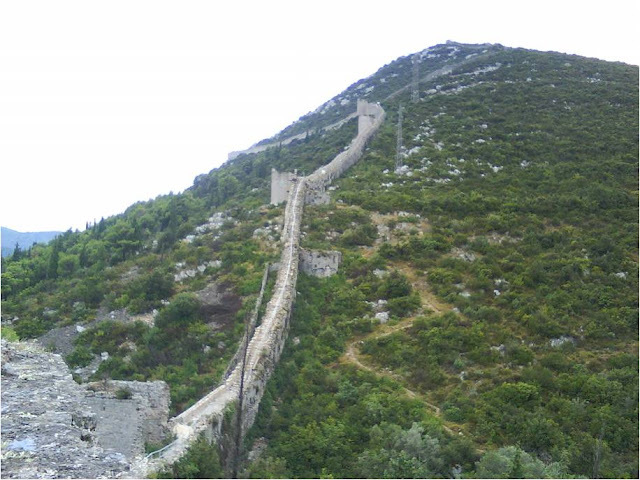 They then follow a narrow strip of land (an isthmus) to meet with the walls of the village of Mali Stan. 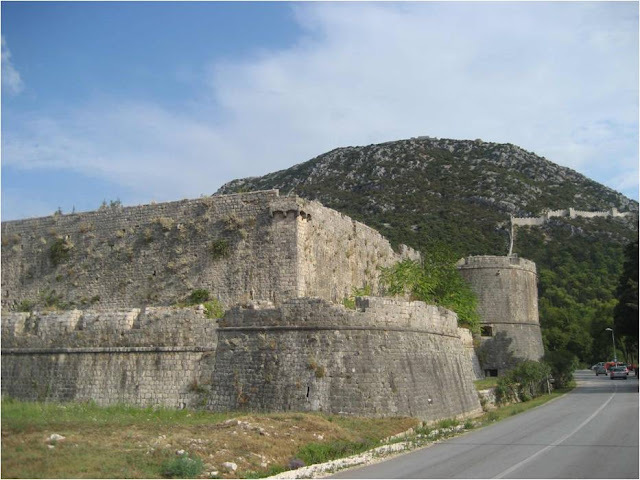 When they were built, starting in the fifteenth century, they were heavily fortified – there are thirty rectangular towers and ten round ones dotted along the five kilometre stretch. What was it that they were built to protect? 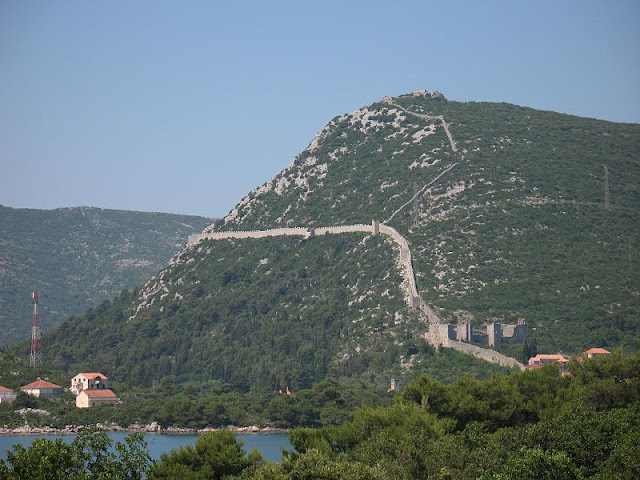 Apart from serving as a first line of defense for the fairly distant city of Dubrovnik they were constructed to protect a precious commodity – salt. Although they have not been used militarily for centuries they are still a sight to behold. 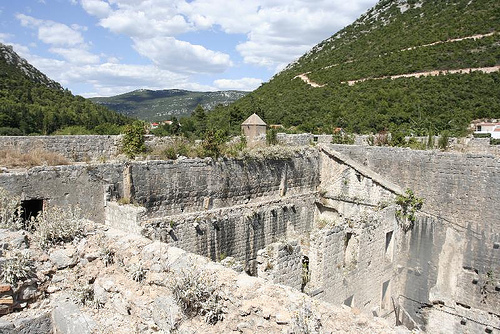 In the middle ages the area became a center for salt mining which continues to this day. 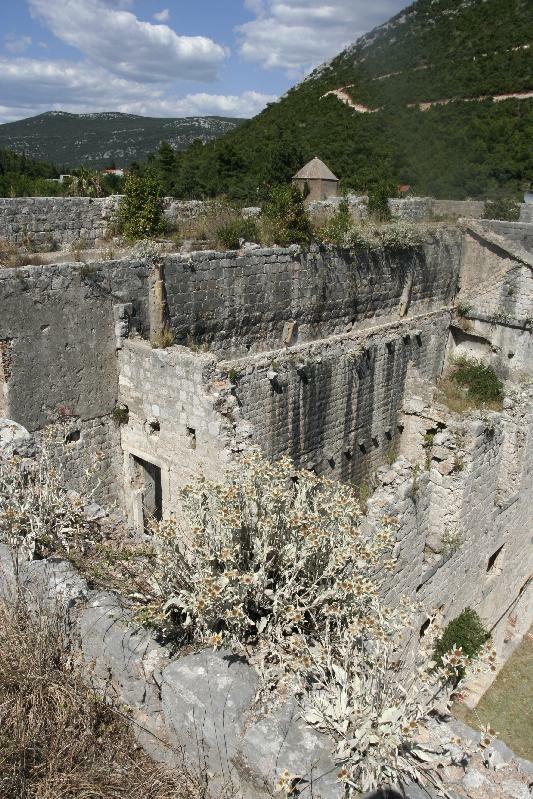 Before falling in to disrepair the walls that surrounded to town were to protect the then Dubrovnik Republic – a city state of the Venetian mode. 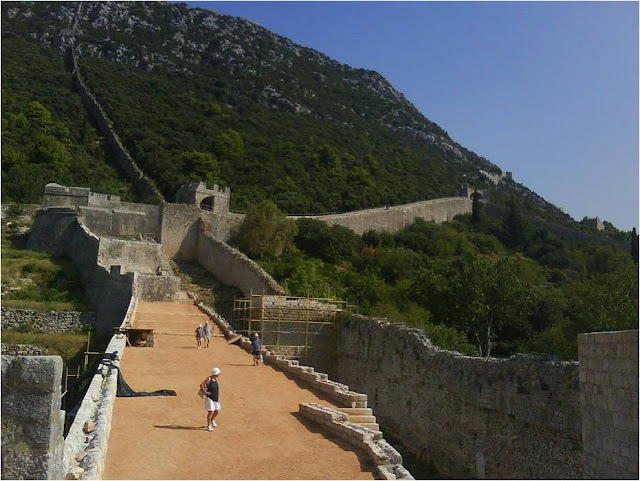 The walls form an irregular pentagon and took around two centuries to buid. 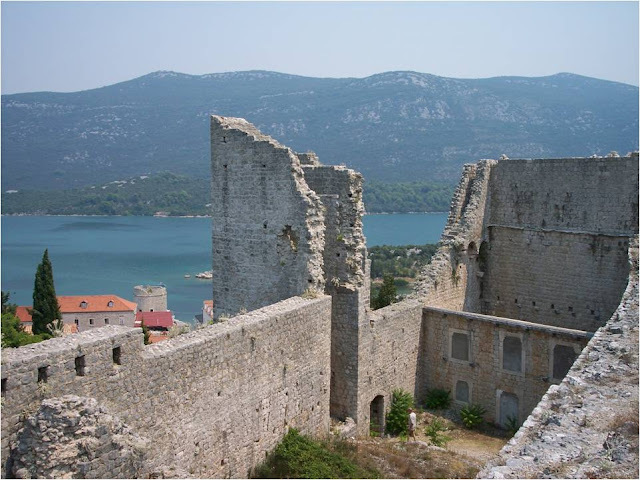 As well as drawing on the talents of local master builders such as Zupan Bunic (1455) and Paskoje Milicevic 1488-1506 the walls were partly built by an Italian, Bernardin in 1461 and a Frenchman, known as Olivier between 1472 and 1478. 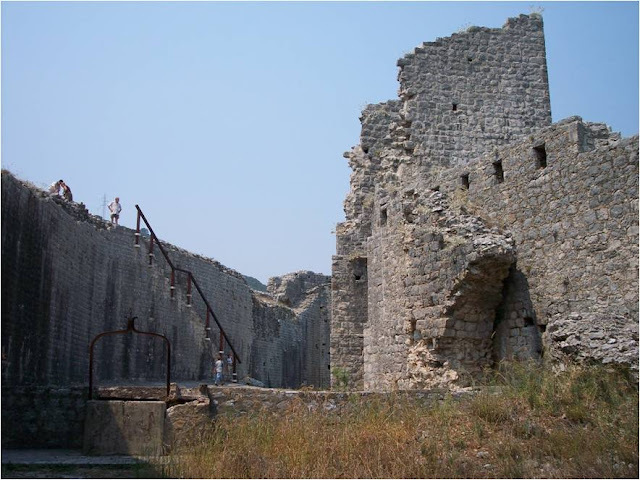 There is a port in Mali Ston and this was in full working order at the end of the fifteenth century and this also has fortifications dating from the same period as the wall, with a gate, a tower and several arsenals. 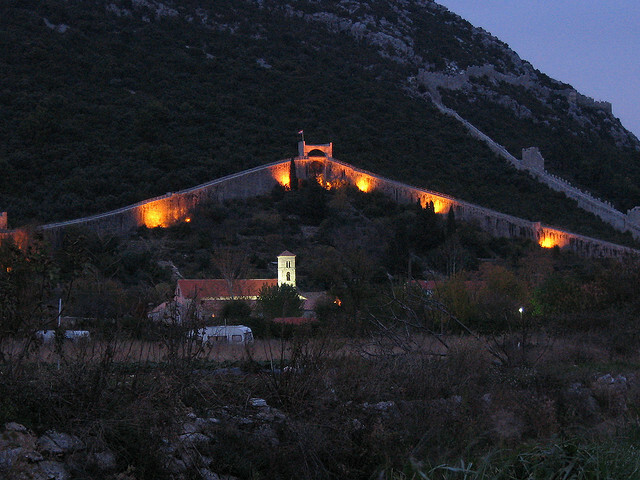 Ston had to undergo many years of renovation and they reopened to the public in 2009. 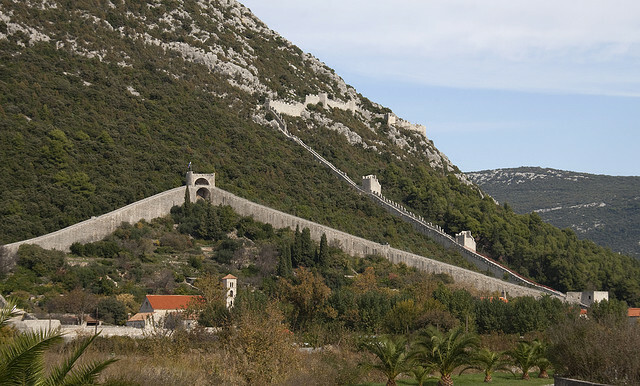 Its sheer size means that this has been the largest and most expensive historical renovation since the Croatian War of Independence (called Domovinski rat or the Homeland War) which lasted four years, ending in 1995. 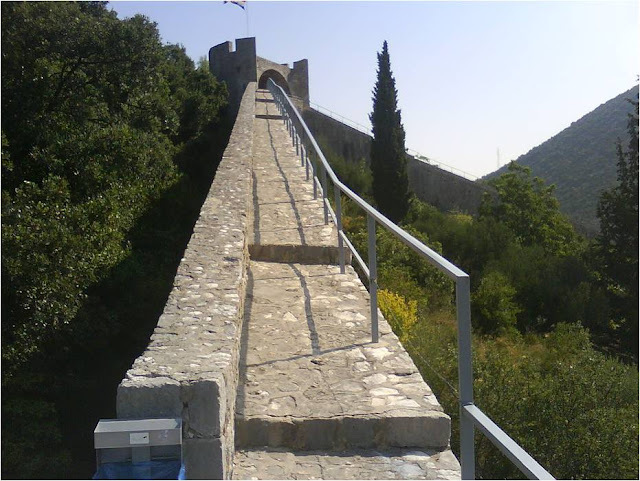 Although original restoration had been started in 1960 by Lukša Beritic, a conservationist based in Dubrovnik it was not until 2003 that the final push to fully restore the walls began. Yet it was not the war which caused the work to take so long. 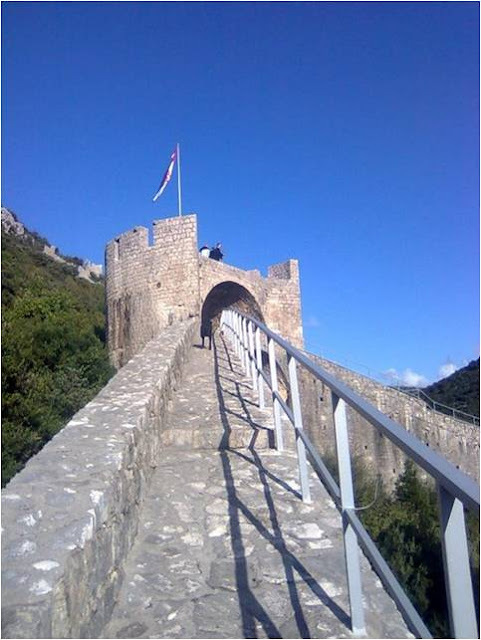 The main reason is that the renovations were carried out in as similar way as possible to the manner in which the walls were originally built. The stone was sculpted piece by piece in the manner the medieval masters would have recognised. 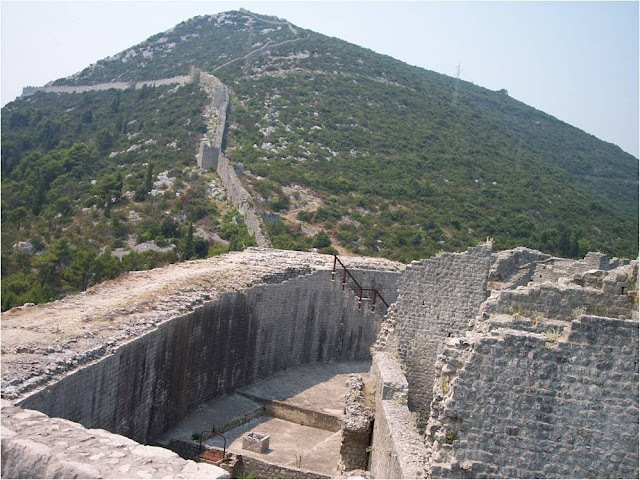 The walls of Ston may be the main reason to visit this beautiful part of Croatia but here is a big however. If you an oyster fan you should not leave before you have tried the Ston oysters. Although partisan, the locals insist that their locally cultivated oysters are the best in the world.